My favorite class abroad was my modern art history class with Professor Lucia Giardino. 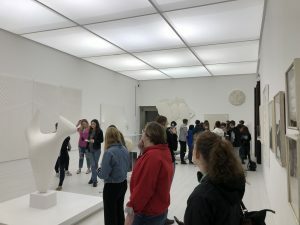 She began a modern art class to allow another option of art history to be available to students and it was my favorite class while abroad. 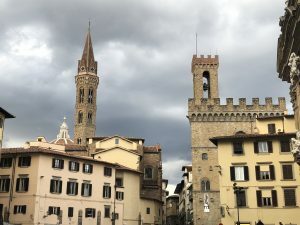 Many come to Florence to see the Renaissance art that is evident throughout the city but there is also a modern art scene in Florence as well. I believe Lucia did a wonderful job at coordinating field trips to art galleries and even a studio tour with an artist. I grew to know and love my Professor and this class as adventurous as well as educational. 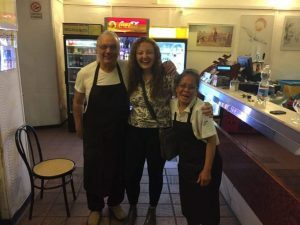 My study abroad experience means so many things to me. First of all, I am proud of myself. No matter how many times I felt lost or defeated I had people around me that helped me through, especially SAI staff. It also helps me feel more confident going new places and being able to find my way around. Lastly, I am grateful because I know I wouldn’t be the person I would be right now if I hadn’t gone abroad. What has your experience taught you about the world?My experiences have taught me a lot of different things about the world. I now truly see the shortcomings of my own country based upon looking at it from the outside. I realize being comfortable, especially in your surroundings, can kind of be a crutch when you are trying to experience new things. Lastly, I have also learned both positive and negative things about the countries I have visited and still maintain a respect for their culture. 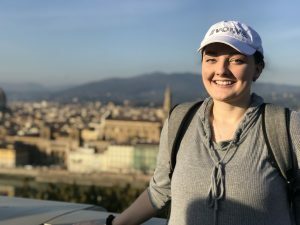 Sarah was an SAI Florence spring 2018 student from Carroll University.